A nice electric razor can really streamline your morning routine. 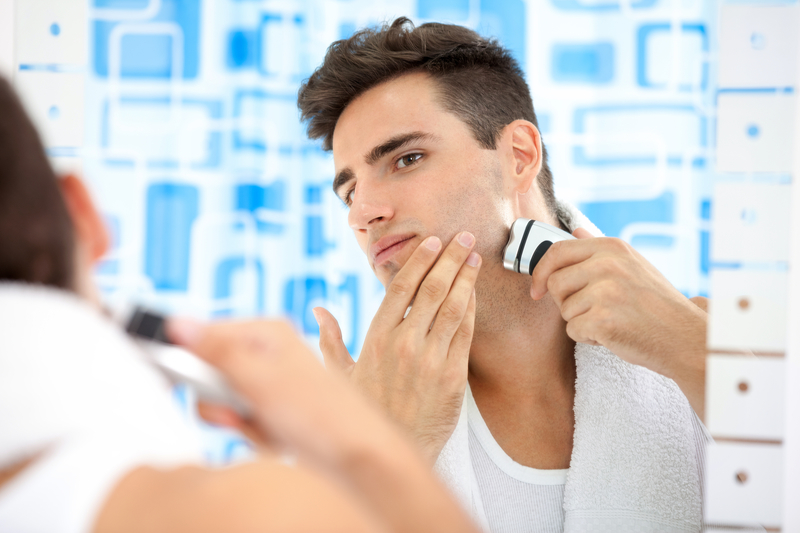 An electric shaver can save you from the hassle of dealing with shaving creams or gels. And, perhaps best of all, you’ll never need to worry about getting cut by your old razor again. But with all the choices out there, how do you choose the right shaver? Finding the best men’s electric shaver doesn’t have to be a chore. From budget friendly choices to state of the art, premium razors, when it comes to electric shaver and beard trimmers there’s definitely plenty to choose from. Luckily, only a few electric shavers really rise to the top. Keeping reading for a closer look at the best men’s electric shavers available right now. Braun’s Series 7 electric razors are state of the art. These razors are the best Braun has to offer and are some of the best, most advanced razors on the market. A great feature of this razor is the integrated cleaning and charging station. Just drop it in the cleaning system when you’re done and you’ll have a clean razor waiting for you tomorrow. If you’re looking for one of the best razors you can get, this is the razor for you. Another top choice from Braun is their Series 5 razor. While this is still very much a premium razor in comes in at almost half the price of Braun’s Series 7. This razor still has a lot of great features like a pivoting head and Braun’s UltraActiveLift for a super close shave. You can also use this one with shaving cream if you’d like. And it’s even waterproof, so you can use it right in the shower. The Philips Series 5000 Wet & Dry shaver has several unique features that really make it stand out. The streamlined body and pivoting head, make it one of the best men’s electric shavers in terms of flexibility and comfort. This shaver can also be used either wet or dry. The Philips Series 5000 comes with a precision trimmer attachment, allowing you to easily trim sideburns or other facial hair without using another tool. The Remington AQ7 Wet Tech is another one of the best men’s electric shavers. It can be used either wet or dry and can also be used with shaving creams or gels. This shaver has three independently floating heads and steel blades. The price on this model is a real plus. At less than half the price at many of the models we’ve already looked at, it’s a real bargain. While it’s definitely more of a budget option, the Braun Series 1 is a real performer for the price. With a single, free-floating foil this razor keeps it simple. This Braun is easy to clean and charges quite quickly. It also features a trimmer for cleaning up facial hair or sideburns. The Braun Series 3 has a pressure sensitive head for shaving comfort and a close shave. And with two batteries, you’ll get plenty of shave time. This electric razor allows you to get a close shave dry, in the shower, or with shaving cream. While not the cheapest, the price is very reasonable too. This Panasonic shaver uses four blades and a pivoting head to give you a close, clean shave. You’ll also get about 65 minutes of shave time out of an hour charge. A waterproof design allows for easy clean up as well as the ability to get a wet shave with cream or gel. If you’re looking for a shaver that’s versatile enough to handle a variety of facial hair styles, here’s your tool. The Philips OneBlade can shave and trim hair. Whether you’re looking for an unshaved look or a goatee or anything in between, the OneBlade can handle it. You’ll get a variety of different attachments for different lengths, along with the standard trimmer. One cutting blade will give you about 4 months of shaves and a single charge will get you 45 minutes worth of shaving time. Billed as the world’s most comfortable shaver, the Philips Series 9000 is truly a premium electric shaver. With a head that pivots in 8 directions, this one will definitely stick to your face. This shaver also has 3 different modes that allow you to adjust the comfort of your shave. The Philips Series 9000 is also waterproof. As one of the best men’s electric shavers, this Philips comes with a beard trimmer attachment, giving you some real versatility. This Panasonic shaver sports 3 high-speed blades that are rounded to contour to your face. A pivoting head allows for greater comfort and a closer shave. A 3 stage LED indicator lets you know when the battery is getting low. The Panasonic ES-RT47 is also fully waterproof, making it easy to wash or get a wet shave when you want it. You’ll also get a slide up trimmer and beard trimmer attachment, making this shaver a very versatile option. Picking the best men’s electric shaver can be daunting. Hopefully some of the options we covered get your search started right. With so many options, it can be tough to choose. Just keep the focus on your needs and your budget. Check out our electric shaver reviews for more help in your quest to find the best men’s electric shaver.